It’s always a treat to find a species new to science. But finding a new species of snail from Terengganu isn’t surprising. 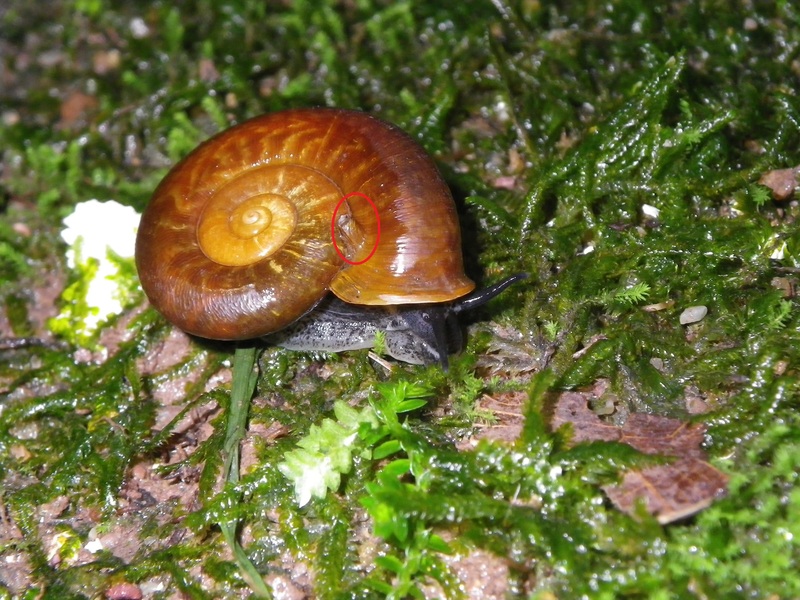 One reason is that before the second half of the last century, malacologists (scientists who study snails) mainly looked for snails in the Federated Malay States, which consisted of Negri Sembilan, Pahang, Perak and Selangor. Finding a new species in Malaysia also isn’t that surprising. According to a study by Giam, one of Rimba’s researchers, tropical moist forests of the Neotropics, Afrotropics, and Indomalaya (this includes Malaysia!) are likely to harbour the greatest numbers of undescribed species. Just last year, Reuben and his colleague, Tan Siong Kiat, described a new genus and species of snail in Terengganu. This snail is now known as Kenyirus sodhii. That was the first snail ever described from Terengganu and one of the first few animals to be named after Kenyir. Now Reuben and another colleague, Mohammad Effendi bin Marzuki, are proud to announce another new species of snail from Terengganu: Pearsonia tembatensis. Pearsonia tembatensis, new species, from Tembat Forest Reserve, Terengganu. Red circle indicates snorkel. Just for the record, this is the first time scientists have found this genus (Pearsonia) in Malaysia! You can read more information on this discovery here, which was published in the recent issue of the journal Raffles Bulletin of Zoology. If you look closely at the shell of this snail, you will notice a snorkel-like protuberance (circled in red) on the shell. For now, nobody knows yet what the function of this ‘snorkel’ is for. You might find the name tembatensis familiar, as this snail was named after Tembat Forest Reserve, where Reuben conducted his camera trapping work under the Kenyir Wildlife Corridor Project. Publication update 12: Indigenous rights matter!